Born at Freeland, Prince Edward Island in June 1907, one of eight children of Robert Cummings Henderson and Annie Henderson. He was educated at Freeland, Prince of Wales College (Charlottetown), McGill University (Montreal), and the Presbyterian College (Montreal). He was ordained in the Presbyterian church in 1943 and became the minister of First Presbyterian Church in Portage la Prairie, Manitoba. He served as the mayor of Portage la Prairie from 1947 to 1966, and again from 1971 to 1974. During his first term, he was President of the Manitoba Association of Urban Municipalities. He ran as a candidate for the leadership of the Liberal Party of Canada at its conventions in 1958 and 1968. He also ran for the leadership of the Manitoba Liberal Party on three occasions. He never sought election to the provincial legislature but was unsuccessful as a candidate in the 1958, 1962, and 1963 federal general elections. 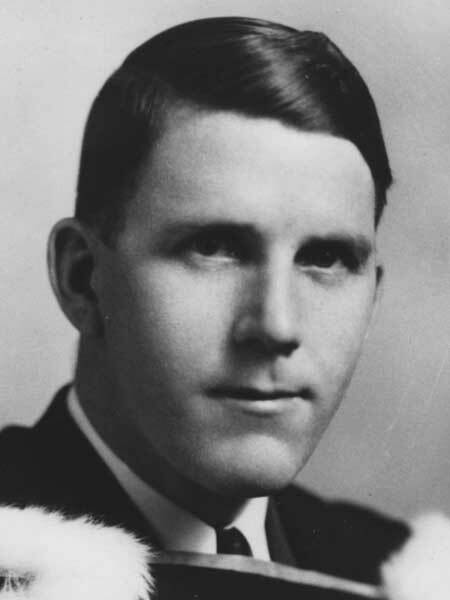 He served as a member of the Manitoba Municipal Enquiry Commission, the Prairie Flood Control Organization, the Advisory Committee to the Minister of Municipal Affairs, the Sanatorium Board of Manitoba, the Manitoba Boards of the Canadian National Institute for the Blind, and the Cancer Society. He was the organizing President of the Portage Flying Club and the Austin Agricultural Museum. He was the first President of the Kiwanis Club of Portage, and Chairman of the Portage and District General Hospital Board. He served on the Portage Industrial Development Commission, the City of Portage Planning Commission, and the Portage Industrial Exhibition Board. He retired in 1981 and died at Portage la Prairie on 18 January 1993. He was buried in the Freeland Presbyterian Cemetery on Prince Edward Island. Obituary, Winnipeg Free Press, 23 January 1993, page D7.